Sisi will be remembered for aborting the first democratic experiment in Egypt. Nasser had first-hand experience with the 1948 war in Palestine when he and his infantry battalion were besieged by the Israelis, and he was wounded in a place called Fallouga. The defeat of the Arab armies by Israel, according to Nasser was caused by the corruption of existing Arab order, the monarchies, the regimes of the beys and pashas, the large landlords and the feudalists. The disastrous 1948 war set the stage for the 1952 coup under Nasser by virtue of his war record in Palestine and concern about Egypt that was a British colony. Considering how small percentage (3%) of Egypt the area along the Nile River that can be inhabited or cultivated, Nasser was committed to expand the land available for agriculture by building the High Dam project at Aswan and reclaiming part of the surrounding desert. He made an agreement with the Soviets to help reclaiming 300,000 acres in Western Nubaria. Nasser’s objective was the establishment of heavy ‘strategic’ industries that were the hallmark of the power of the West and the Soviet Union. These would produce the fertilizers, tractors, pumps, etc.. necessary for agricultural modernization. They would also produce basic consumer goods and consumer durables such as steel plates, Aluminum ingots, tubeless pipes, copper cables, and cement for the Egyptians and eventually for exports. Nasser believed that with urbanization, rising income and literacy, the birth rate would fall and the revitalized agricultural sector would feed a stable population. The average Egyptian would have his own dwelling, perhaps even a car. The state then would be able to tax the population’s growing prosperity to generate investment for further growth. That was his vision for Egypt and that would be within Egypt’s grasp at the end of a decade of planned growth. At a later stage, Nasser realized that the private sector was unable to undertake the task of modernization at an accelerated pace because of the lack of private capital and so he ordered the state including the military to take over many industrial functions. Nasser could have made the transition to democracy, ran on his domestic and foreign policy record and won elections, but unfortunately he did not. Nasser made serious mistakes that contributed to the sad state in Egypt today while trying to implement his vision, but his armed forces never shed Egyptian blood in the streets and squares of Cairo. One of Nasser’s mistakes was surrounding himself with incompetent deputies and creation the template of the strong leader cult that became a model for his successors and for most revolutionary and non-revolutionary regimes in the Middle East. He created a powerful political class at the heart of the regime, the military officers’ class who believed they had been given popular mandate to rule Egypt; and ironically they adopted the lifestyle of the rich, except for Nasser himself who lived a simple lifestyle. His most trusted deputy, Abdel-Hakim Aamer miss-managed the 1958 Egyptian-Syrian merger that came to be known as the United Arab Republic (UAR). The UAR failed and Nasser made another mistake by promoting Aamer to the highest military rank. Aamer was responsible for Egypt’s crushing defeat by Israel in the 1967 Six Day War. Unfortunately, Nasser’s successors including General Sisi climbed to power by exploiting the enduring structure of an authoritarian state under the military that Nasser created, but without having his ambitious plans for improving the lives of the Egyptians. Supporters of General Sisi, Egypt’s strong man, compare him with Nasser. The military uniform is the only thing in common between the two men. If Nasser is remembered for achieving Egypt’s independence from Britain, taking back the Suez Canal, building the High Dam and carrying out the Land Reform, General Sisi will be remembered for aborting the first democratic experiment in Egypt; for dividing the nation into “We-They” dichotomy based on difference of political views; for being the first Egyptian military general to order his forces to mow down hundreds and wound thousands of peaceful anti coup Egyptian protesters in what is called the August 14 Rabia al-Adawiya and al-Nahda squares massacres. 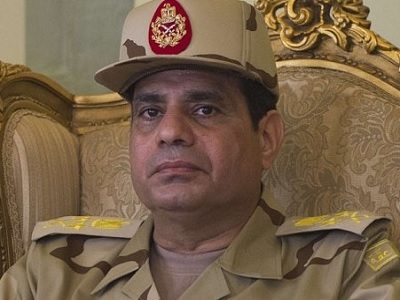 And General Sisi is the first Arab leader to join Israel’s right wing parties by publically declaring contacts with Hamas Party that won the 2006 Palestinian Parliament elections, as acts of treason. General Abdel-Fattah Sisi is no Colonel Gamal Abdel-Nasser. That is your analysis, Mr. Al-hasan. It is too early to judge if General Sisi is Nasser or not. Do not rush to judgment. Let us wait and see. He might be better than Nasser or worst and time will tell.